As humans we are constantly on the move, but how does our brain enable us to keep up with our dynamic and changing world? Professor Klaus Gramann leads a team of researchers at Berlin Technical University driving forward a method of Mobile Brain/ Body Imaging he originally developed with colleagues at the Swartz Center for Computational Neuroscience. Excitingly, this method allows the assessment of the neural and behavioural processes underlying our ability to understand our world and respond to it. Cognition refers to the mental processes involved in acquiring knowledge and understanding, encompassing our thoughts, experiences, and senses. However, the events taking place in our brains that facilitate these complex cognitive processes are yet to be fully elucidated. Modern imaging techniques, such as functional magnetic resonance imaging (fMRI) which measures brain activity in awake human participants, have substantially contributed to our understanding of which areas of the brain are active during different kinds of behaviours and cognitive tasks. fMRI measures blood flow, which increases in brain areas where activity is taking place. However, one key limitation of this (and many other functional imaging techniques), is the requirement for the participant to stay still during the collection of imaging data. For example, during an fMRI scan, the person undergoing imaging must lie still in a narrow tube which runs through the middle of the machine. They are presented cognitive tasks on a 2D screen and the brain regions activated during different tasks are identified. Although such techniques have advanced our understanding of the brain, in our day-to-day activities we don’t view the world on a 2D screen, and we don’t live our lives lying still. The key reason that we developed the ability to reason and think was to enable us to improve the outcome of our behavioural responses to an unpredictable 3D world to reach our cognitive goals. Our motor processes influence our cognition – and vice versa. Imagine, for example, navigating through a room towards a chair you want to sit on. There is constant feedback between the input you are receiving about your environment and the decisions you make based on that information. During evolution the ability to do this was critical for survival, these days it is still necessary to complete the task as well as to avoid the embarrassment of missing the chair you are trying to sit on. Therefore, it is important to have other options for brain imaging which better recapitulate how we use our cognitive abilities in real life. Professor Klaus Gramann and the team at the Berlin Mobile Brain/Body Imaging Lab (BeMoBIL) have begun to address this by taking brain imaging out of its box and into virtual reality and the real world. They believe that the best way to really understand the neural processes underlying cognition is to study the brain as the body moves and interacts with a natural environment. By combining mobile brain imaging methods with state-of-the-art virtual reality (VR) and motion capture technology, the team can study brain activity in participants that are free to move around and undertaking natural behaviours. In this way, the team can ask questions about the relationships between brain function and active behaviour, and can provide information for the development of human-machine interfaces. Virtual reality technology has transformed the potential for this kind of research. It is now possible to create a virtual environment with complex, unpredictable, and dynamic features representative of the world we live in, but still within a controlled laboratory setting. 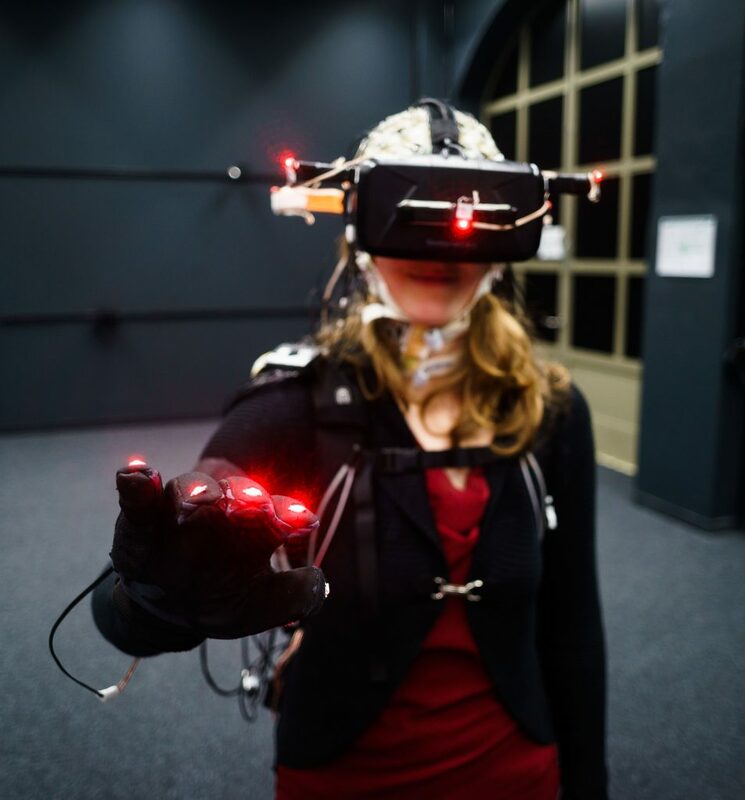 At BeMoBIL, virtual reality headsets are used to place participants in an environment that feels real to them but is carefully designed and controlled by experimenters. Professor Gramann and his team have combined these VR environments with mobile electroencephalogram (EEG) recordings of brain activity. To obtain EEG recordings, small metal disks are placed on the scalp, usually contained in a cap. These sensors then pick up the electrical signals produced when brain cells communicate with each other. The electrical signals are detectable at the scalp surface and, as many sensors are placed all over the head, they can be localised to specific brain regions. 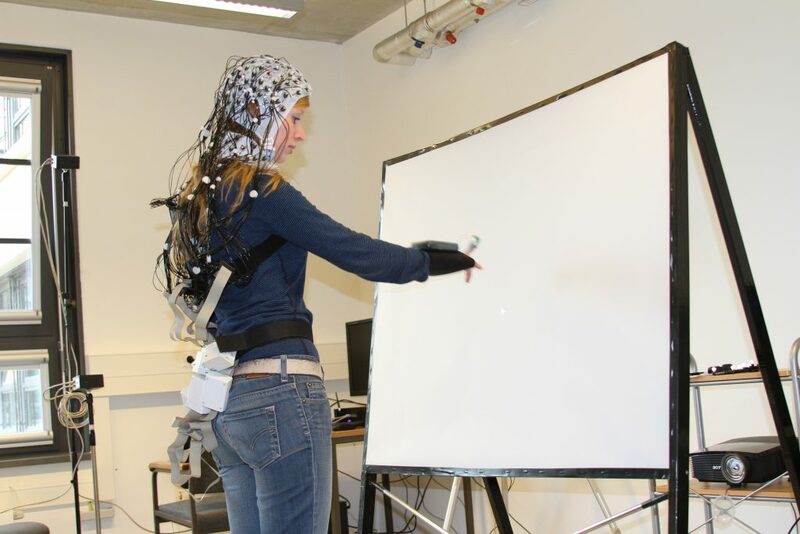 In the past, EEG was considered to be too prone to noise produced by movement to be used while a participant is walking or running. 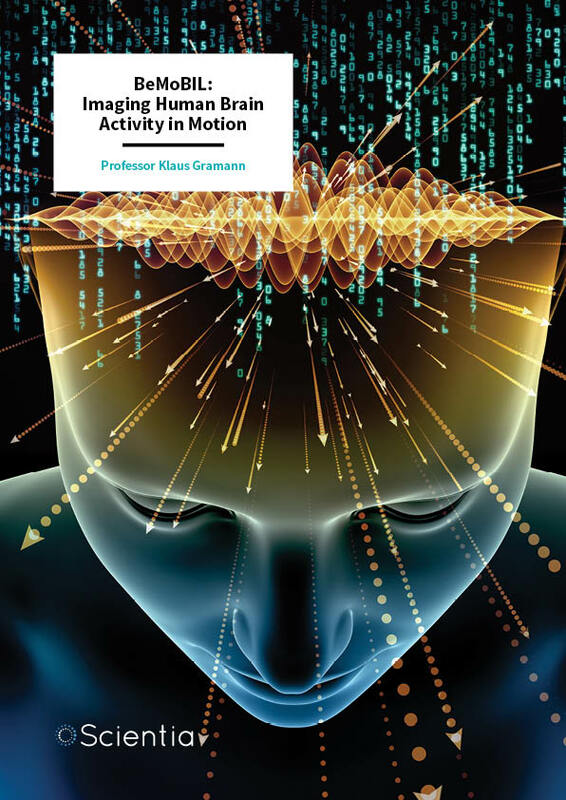 Professor Gramann and his team overcame this difficulty by developing a method for filtering out the noise in the EEG signal produced by movements. Critically, this allows the researchers to detect electrical signals at the scalp surface during locomotion. 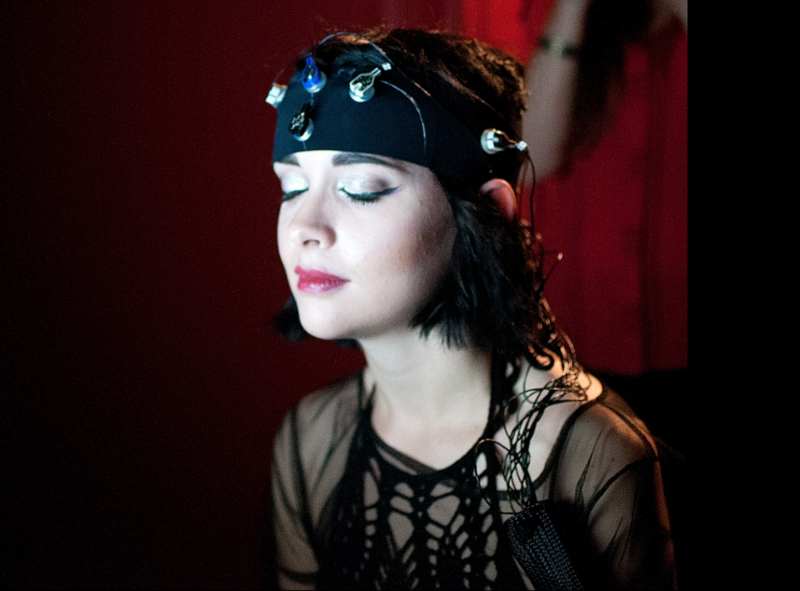 Wireless EEG technology means that there is now even more freedom for participants to move during recordings. In addition to mobile EEG equipment from Brain Products Innovations, the facility at BeMoBIL also includes advanced video motion capture technology, eyetracking equipment, and force measuring plates to enable the precise movements of participants to be recorded and synchronised with the EEG recordings. Applying MoBI Technology to Real-life Questions: Does Your House Make You Happy? The technology available at BeMoBIL has already been used to ask scientific questions that cannot be addressed with other techniques. One interesting question is that of how architectural spaces affect our brain activity and our emotions. The shape of buildings is an important element of architectural design, and throughout history this has been defined by artistic taste alongside practical considerations. But what is the impact of these decisions on the mental state of the human occupants of those buildings? Does a stylish building necessarily mean happy inhabitants? Professor Gramann and his team used real-life examples of the insides of people’s homes to generate generic 3D models of different room types, compatible with the virtual reality methods used at BeMOBIL. Participants completed a short picture-based test in each virtual room, as a subjective measure of their emotional response to that environment. The researchers also recorded the electroencephalogram (EEG) of participants as they naturally moved around the different rooms, as an objective measure of brain activity. Video motion capture was used to track the movement of the participants around the different rooms. These room models were empty and the study focused on the impact of the shapes, proportions, and architectural features of the rooms on brain activity, rather than the contents. The researchers identified the room forms and features which induced different emotional responses. For example, rooms containing curved forms were found to induce a more pleasurable response than those consisting of straight edges. This increased pleasure response was accompanied by increased activity in an area of the brain known as the anterior cingulate cortex (ACC). This area of the brain is thought to play a role in emotional and artistic experiences. The benefit of using mobile EEG in this kind of experiment was that the team could record very fast responses of brain activity to entry into a particular environment. They found that the architectural spaces had very rapid effects on activity in the ACC starting at around 50 milliseconds, approximately eight times faster than the blink of an eye. Before you are even aware of it your brain is responding to your surroundings and influencing your emotions. This shows that specific architectural features have rapid but measurable effects on both the dynamics of our brain activity and our emotions. This sort of detailed information is highly valuable for the design of living and working spaces that are kind to our mental health. Our world is becoming dominated by machines – we interact with our mobile phones, computers, and tablets to carry out an enormous range of day-to-day tasks. As these machines become faster and more capable, it is increasingly the point of human-machine interaction that slows down the process. For example, as I type this article, my brain is thinking faster than I can type, my laptop is certainly capable of keeping up with the speed of my thinking, but my fingers can only move so fast. Professor Gramann and his team are interested in how we can use mobile brain imaging technology to bypass this bottleneck and allow our brains to speak straight into our machines. Understanding how the human brain encodes information related to cognition and movement is important if we are to achieve this exciting goal. As part of the global effort towards faster human-machine interaction, Professor Gramann and a team led by Dr Zander carried out an experiment to analyse real-time brain activity in participants and use it to enable them to control a cursor on a screen. 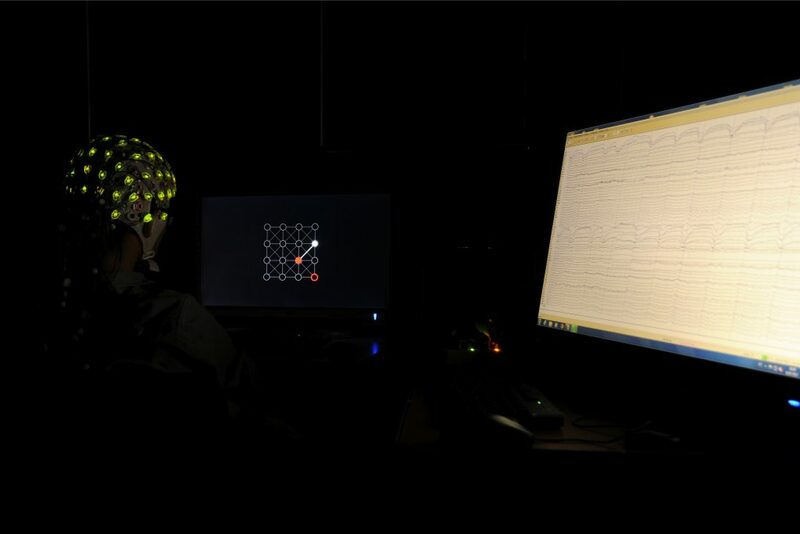 In order to do this, the team carried out EEG recordings of brain activity while participants watched a cursor move around different segments of a grid presented on a screen. They measured the brain responses associated with each specific movement of the cursor. The patterns of brain activity associated with different directions of cursor movement were then used to build a model that would enable the computer to interpret brain activity as a specific cursor movement signal. In addition to demonstrating that EEG recordings can carry task-relevant information in a way that can be classified and understood, this experiment also provided information on the brain regions involved in such cognitive tasks. The team identified the medial prefrontal cortex (mPFC), an area believed to be involved in decision making, as the main location of these task-related brain responses. Experiments such as these are important stepping stones towards shifting the human-machine interface to a more efficient brain-machine interface. This could have applications in almost every area of life, from enabling individuals to choose Netflix shows simply using their minds, to the development of smart living environments in rehabilitation therapy to support patients in regaining independent mobility skills for daily living. Already Professor Gramann and his interdisciplinary team have been able to study the impact of the environment on brain dynamics, and have demonstrated a method by which brain dynamics could control elements of the environment. The potential applications of the techniques for mobile brain imaging developed at BeMoBIL are wide-ranging – and will likely answer some fundamental questions about how it is that we think. Professor Klaus Gramann gained his PhD in Psychology from the Technical University of Aachen, Germany, in 2002. He undertook postdoctoral research before being appointed as an assistant professor at the University of Munich and then spending several years at the University of California, San Diego, USA. Professor Gramann spent five months at the National Chiao Tung University in Taiwan as a visiting professor before returning to Germany, where he became Professor of Cognitive Psychology at the University of Osnabruck. He has been Professor of Biological Psychology and Neuroergonomics at the Technical University (TU) of Berlin since 2012. 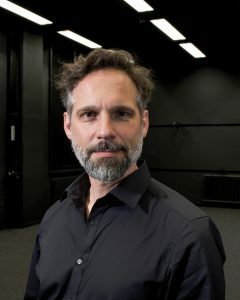 Professor Gramann’s research interest is in mobile brain/body imaging, and he opened the Berlin Mobile Brain/Body Imaging Lab (BeMoBIL) at TU Berlin in 2014. Professor Gramann has published over 70 research papers since 2005 and has authored several books. His work has received substantial funding and he is a regular reviewer and editor for a number of prestigious journals. T Töllner, Y Wang, S Makeig, H Müller, T-P Jung, K Gramann, Two independent frontal midline theta oscillations during conflict detection and adaptation in a Simon-type manual reaching task, Journal of Neuroscience, 2017, 7, 2503–2515. K Gramann, S Fairclough, TO Zander, H Ayaz, Trends in neuroergonomics: A comprehensive overview, Frontiers in Human Neuroscience, 2017, 11. TO Zander, LR Krol, NP Birbaumer, K Gramann, Neuroadaptive technology enables implicit cursor control based on medial prefrontal cortex activity. Proceedings of the National Academy of Sciences of the USA, 2016, 113, 14898–14903. K Gramann, DP Ferris, J Gwin, S Makeig, Imaging natural cognition in action. International Journal of Psychophysiology, 2014, 91, 22–29.